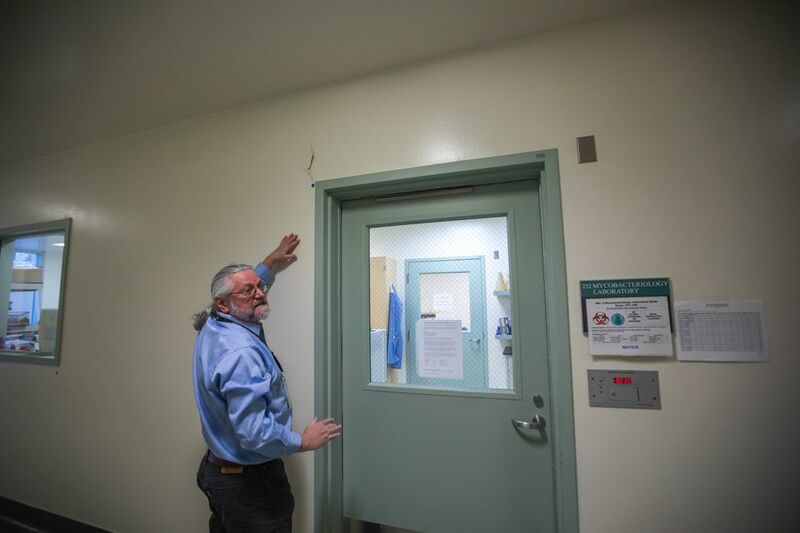 The magnitude 7.0 earthquake on Nov. 30 damaged specialized, germ-resistant walls at the state health lab in Anchorage, forcing scientists to ship bacteria samples to labs in California and Washington and delaying the facility’s unique role in testing for tuberculosis, botulism and other potentially fatal illnesses. 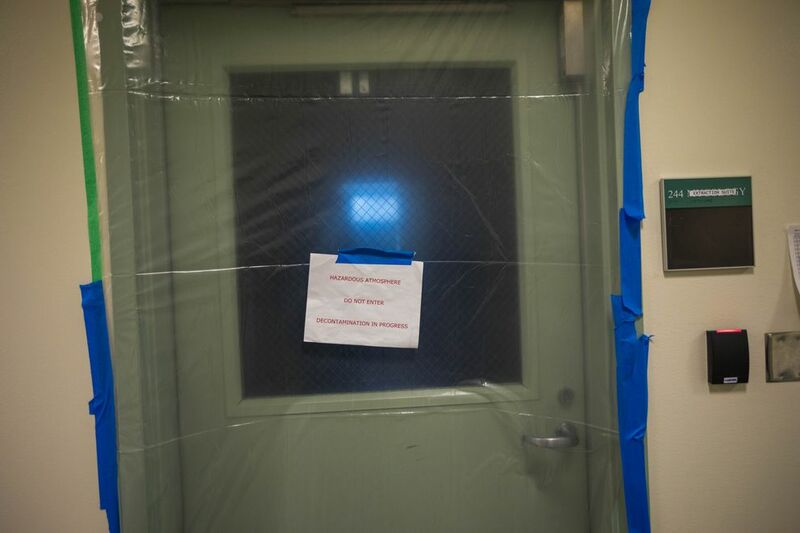 The damage to 13 of the lab’s most secure testing rooms must be repaired before scientists can safely enter them to test for pathogens, officials at the facility said Thursday. 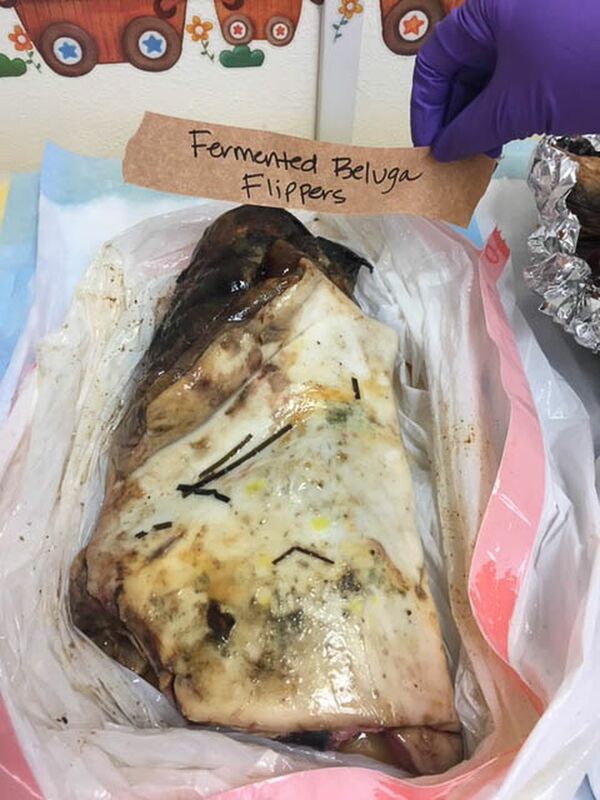 He said the situation has caused roughly weeklong delays in getting final test results for tuberculosis, a major problem in Alaska, and for botulism, a food-borne bacteria that in January contributed to the death of one man and sickened others after they ate fermented beluga whale flipper at a New Year’s Day dinner in Nome. The delay doesn’t create an “acute danger” to public health, Jilly said. It didn’t factor into the man’s death because he was treated for botulism shortly after visiting a hospital in Nome. Also, preliminary testing for those two diseases and others can still be carried out in two specialized labs that escaped damage. Still, the slowdown complicates the facility’s goal of protecting the public from highly infectious diseases, he said. Doctors can’t quickly get the certainty they need to properly treat illnesses and prevent them from spreading. 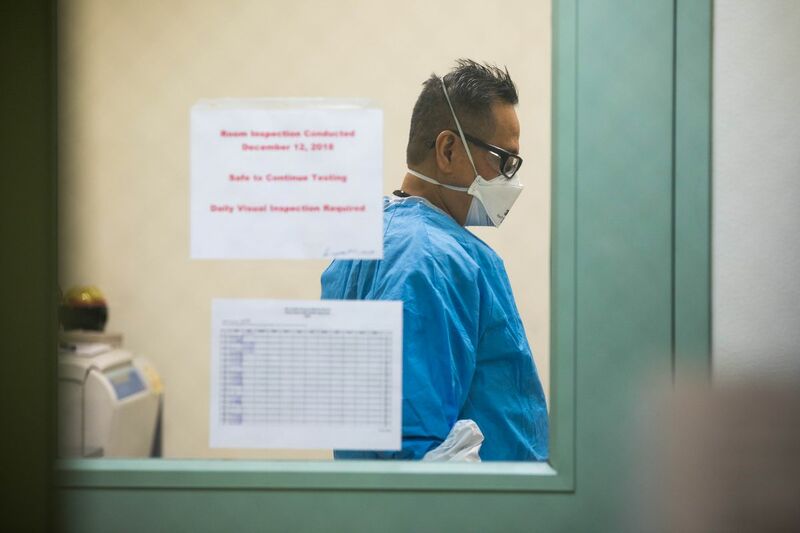 Patients with a low-grade tuberculosis infection may not quickly know it, and treatment may be delayed and the infection may spread, he said. And some patients are being treated for tuberculosis with medication, but might learn later they did not have it. “Patients are left in limbo for longer than they need to be left in limbo,” Jilly said. “There’s a double-edged sword in this unknown period of time, and the shorter you can make that period of time, the better it is for the individual, the community and the whole health care system." Donna Fearey, nurse consultant for TB at the state epidemiology section, said there were 53 cases of TB in Alaska in 2017. Between 2013 and 2017, the state had 12 TB-related deaths. The testing delay hasn’t caused any TB-related deaths and is not expected to, she said. Doctors and the state are working closely to track patients, as they always do. “I don’t think it’s impacted the day-to-day care of patients," she said. “I think health care providers are aware of the situation and are working with the resources” they have. There are other areas of increased risk to public health, Jilly said. The facility is the only one in the state that tests for white powder that could be lethal anthrax. It’s still sent in letters to public officials and others, though that has not been an issue since the earthquake. “That’s the kind of thing you need an immediate answer on,” Jilly said. “They will shut down a building or a hangar until we get the result of all clear, and so that can have a huge economic and psychological impact." Measles testing in Alaska has not been delayed. 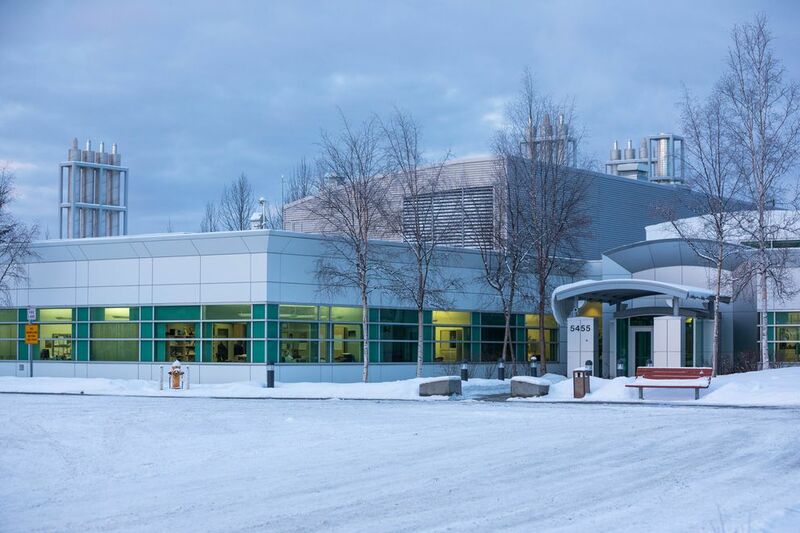 That pathogen, a cause for concern following a recent outbreak in the Pacific Northwest, is tested at the state lab in Fairbanks that was not damaged by the quake. If a white-powder threat arises, the lab has a plan involving the FBI and Department of Defense. Jilly wouldn’t go into details about the plan. “Let’s put it this way: We partner with the appropriate agencies to get a specimen from Point A to Point B," he said. 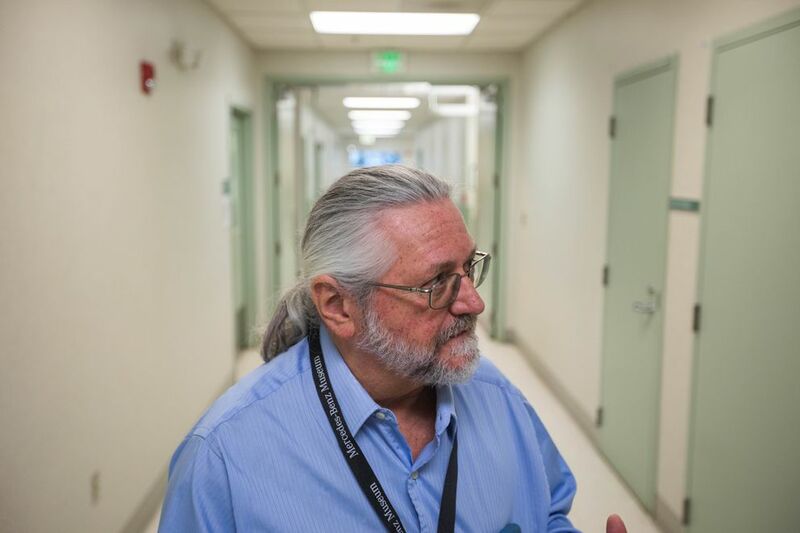 The $18 million, single-story laboratory was built in 2000 in East Anchorage along Martin Luther King Jr. Avenue, an area where small buildings sustained some of the city’s most violent shaking during the earthquake, said John Thornley, chair of the city’s Geotechnical Advisory Commission. The walls in the 13 damaged rooms are made from layers of fiberglass. They’re coated with a slick, Teflon-like substance, officials said. They are specially designed to prevent germs from nesting in microscopic nooks, so lab scientists don’t get infected while conducting tests, Jilly said. During the quake, cracks spidered across the walls, and shards rained to the floor. The walls shattered like the coating on M&M’s, said John Laurance, a public health microbiologist. Other sections of the building were similarly damaged, Laurance said. In a different part of the building, he mopped up water that cascaded from the ripped-open sprinkler system. But the damage to the highly secure lab rooms was the most critical, he said. Lab samples had to be shipped to other states immediately, and staff from outside Anchorage could not easily get to work to help because of road damage. “It was a pretty rough first week” following the quake, Jilly said. Facility staff are in the process of decontaminating damaged labs, a two-day process for each room, he said. Doors are sealed with plastic and tape. Inside, a machine vaporizes and pumps out high-concentrate hydrogen peroxide, killing microbes so the rooms will be sterile when contractors arrive. The repairs, once they start, will take about a month. The building is considered “critical infrastructure," and the Alaska Department of Transportation and Public Facilities has placed it at the top of the repair list, Jilly said. But final quotes and bids for the work are not yet available, he said. The workers who apply the fiberglass will need special training and must wear hazmat suits. “You don’t want to breathe in that fiberglass,” Jilly said.